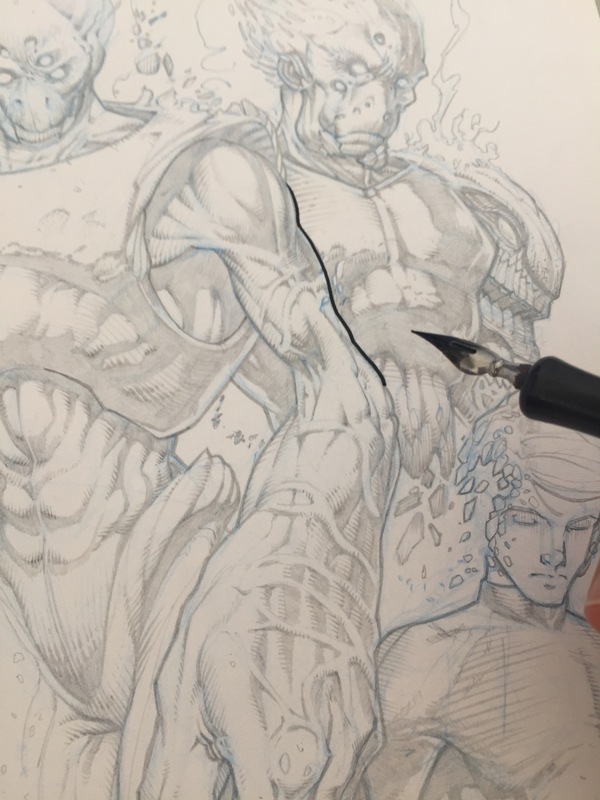 Every artist goes through the apprehension to ink over their original pencils. For the team on ‘Scars of Seven’, feeling the indents of the pencil marks brings a whole new dimension to the process. Don’t ink over an original if the investment in the pages is too great. That is if you hire an artist or the time to complete is very time consuming. The paper stock isn’t right for inking. If the paper isn’t bleed proof or runs. If you are not confident in your inking abilities.